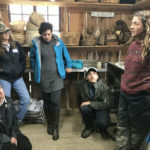 Flying Cloud Farm was the perfect setting of our first CRAFT Farm Tour of the Year, with an early-spring theme of Plant Propagation. 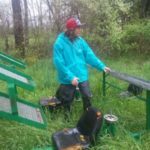 The farm was already dripping with green starts, prepped fields, and spring rain. 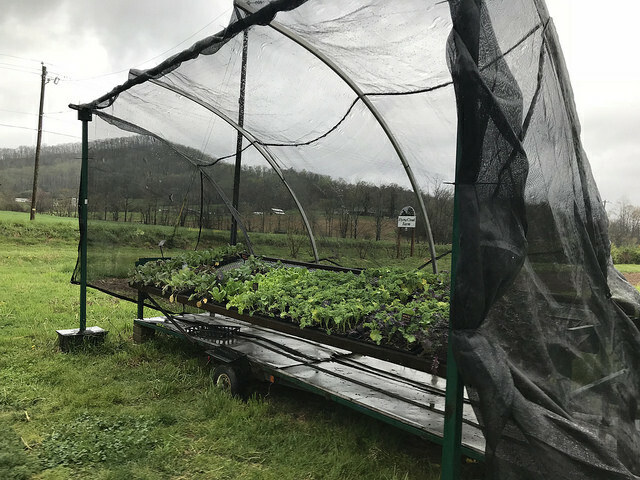 Flying Cloud was started in 1999 by Annie Louise & Isaiah Perkinson, who have family ties to the farming community in beautiful Fairview, NC. 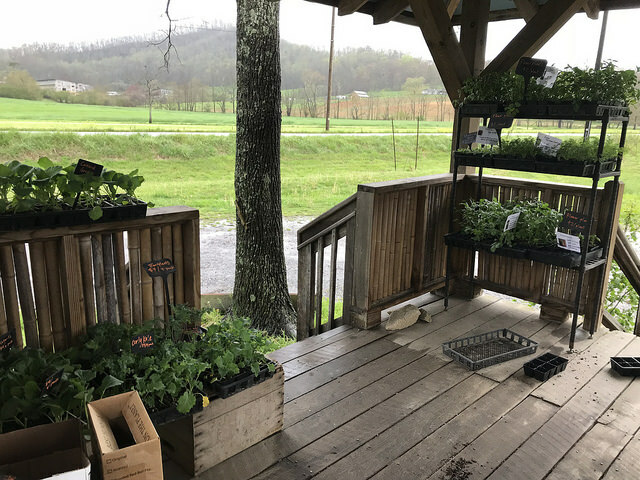 They are a direct market farm with a focus on their CSA, market shares, 2 tailgate markets, and their fully-stocked roadside farmstand. 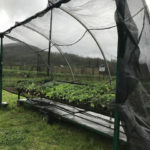 “Our variety is our ‘crop insurance’,” points out Annie Louise, as she gestures over fields of berries, row crops, and a healthy propagation house filled with starts. Their heated propagation house is insulated by a double layer of greenhouse plastic with air blown in between (called “Poly Inflation”). They germinate in 288 propagation or “plug” trays, which they eventually step up into 50’s. 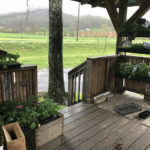 Flying Cloud makes their own potting mix with a ½ bag of Sungro (from Griffin Greenhouse Supply), peatmoss, perlite, lyme, ½ bag compost (which, as a farmer, she gets at $20% off from Fifth Season Gardening) vermiculite, and Harmony. She mixes and waters it thoroughly before tucking the seeds just below the surface. 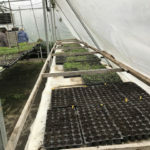 The plants begin in the heated propagation house on the germination table, which has radiant floor piping covered in sand and then in plastic (to avoid the plants growing into the sand). 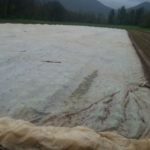 After a few weeks, they ‘stepped up’ and moved off the germination table and into the adjacent unheated greenhouse, the shadehouse, and eventually into the field. 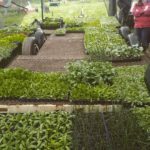 Annie Louise and her crew begins seed germination in the beginning of February; at the end of February, the second unheated greenhouse is entirely filled with starts. 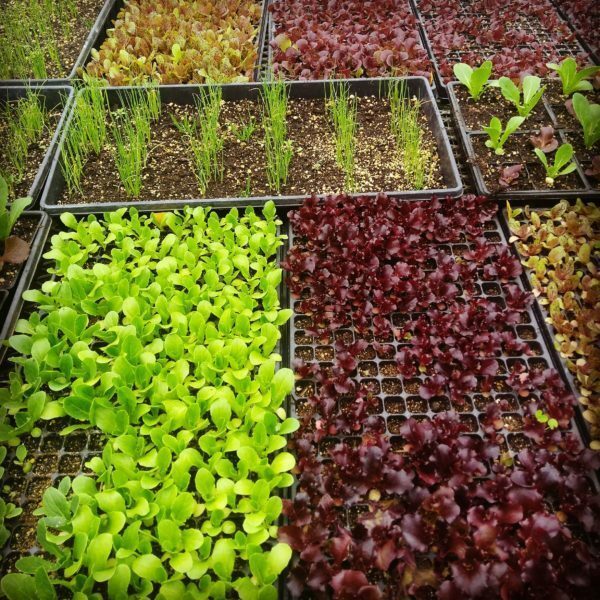 They begin their winter planting cycle in July, and by the end of July they’re done propagating for the season. 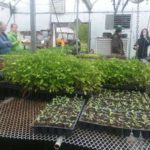 They usually water both of the greenhouses twice a day in the Spring, and up to three or four times in the heat of the summer. 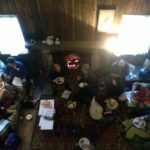 Flying Cloud is diligent about recording the week they started each variety, the week it was planted, the week it was harvested, and the total days to maturity. This helps them with variety and seed selection in the following year. 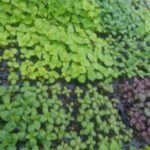 It’s important to know how plants interact with transplanting when beginning a plant propagation plan. 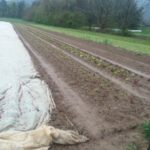 Sunflowers, zinnias, and chard for example don’t like to be transplanted; in response, Annie Louise doesn’t step them up from 288s but instead starts them in 50s and then puts them directly into the field. It’s also important to note what type of root system a plant has, and therefore how much room it needs to grow. 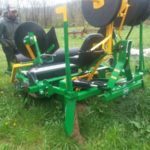 Plug trays can be deep or shallow; a general rule of thumb is to think of the root system “as above, so below” to help determine root patterns. 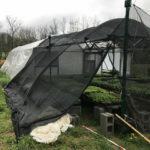 Some plants don’t like to be started in a greenhouse at all (especially root crops); Flying Cloud direct seeds beets, carrots, lettuce, arugula, and turnips. 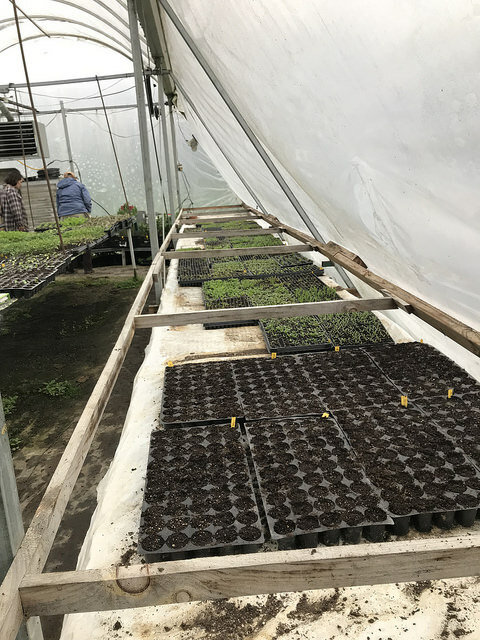 Pests are as much a problem in the propagation house as they are in the field; mice will dig seeds out of trays, gnats buzz around the new growth, and aphids attack stressed starts. “It’s important to know the lifecycle of the pests to get ahead of them,” says Annie, who also nods to the importance of attracting beneficial insects with pollinator plants surrounding the prop house. 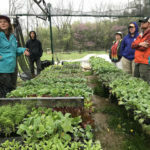 Cut flowers and a U-Pick flower field are a big part of Flying Cloud Farm’s income. Though most of their vegetable seeds come from Johnny’s, thanks to Geo Seed they can get most of their flower seeds locally. 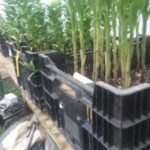 They have an interesting approach to growing lilies, which they propagate in black plastic crates directly, which are stacked along the edges of the prop house. 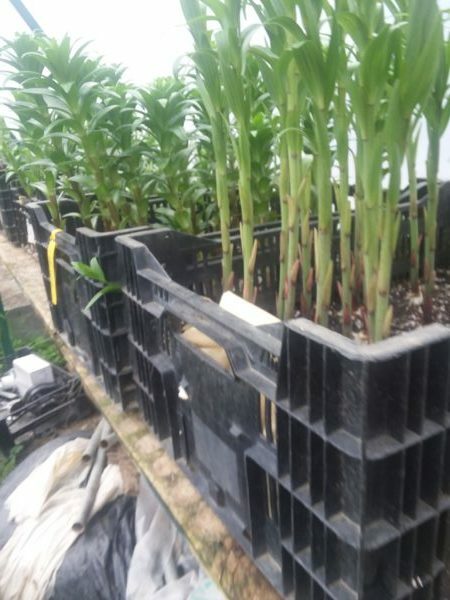 They sell individual stems of both Asiatic and Oriental lilies for $3, and even though each bulb can only be grown once, the little amount of space required means that the plant is reasonably profitable. “I like to think of space in relation to money,” Annie Louise says. “Each plant has to pay its rent.” Selling mixed vegetable start trays has also proven to be a good source of income, at $20 for a 50 variety pack. A little shadehouse for the starts lives on the edge of the roadside stand, which Annie Louise has to take a minute to stock during our visit. 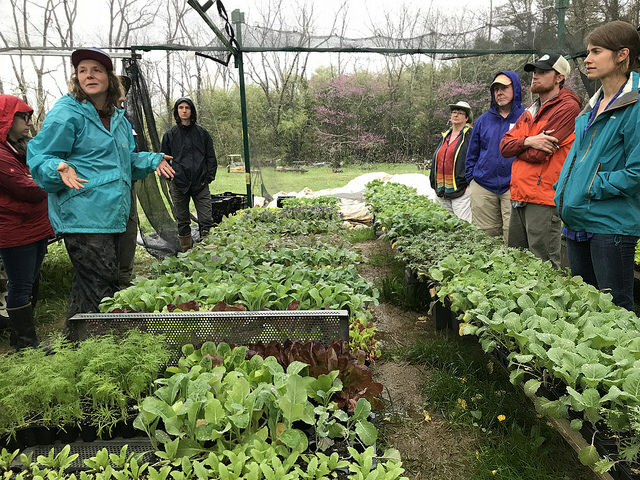 Thanks so much to Flying Cloud for hosting us and teaching our farmers about your plant propagation methods! We look forward to seeing everyone at our next CRAFT farm tour. A brilliant mechanism of moving the plants in and out of the shadehouse — wheels! This is what a half acre of remay looks like folks! The shadehouse by the roadside stand that houses the starts for direct sales. Annie Louise talking about the farm’s history in the pack shed. Annie Louise and the transplanter. Lilies grown in black crates. Annie Louise and the crowd in the shadehouse. 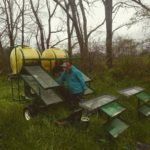 Annie Louise and the Water Wheel Transplanter.